IK Skin Perfection stands for beauty for everyone and for every skin type. The love for the skin and nature is central to IK Skin Perfection. IK Skin perfection wants to strengthen the beauty of every skin with products that have been developed in harmony with nature. The natural condition of the skin is the starting point. IK Skin Perfection wants to bring every skin back to the healthy and natural state of the skin with the help of 100% natural pure organic ingredients. The products of IK Skin Perfection contain no synthetic substances, no parabens, no artificial colors and fragrances and no other artificial ingredients. With these products you work in a natural way towards optimal skin condition and ensure maximum skin improvement. 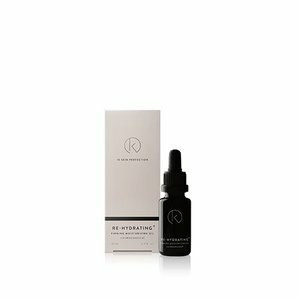 In our webshop we offer a full range of products from IK Skin Perfection to completely restore your skin and bring it in optimum condition. Proper care of the skin always starts with a good cleaning. We have 2 cleansers that help you to rid your face, neck and décolleté every morning and evening of the pollution that accumulates on the skin during the day. Silk + is suitable for skin that is not in balance and suffers from dryness, redness, flakes, moisture shortage and skin irritations. Foam + is especially suitable for the impure and the problem skin. Finally, we have Scrub + in the range. This mild scrub can be used for oily and impure skin, but is also suitable for normal to dry skin. With these three products you keep your skin fresh and clean every day and lay a good foundation for your further skin care. By using a face mask once or twice a week, you give the skin a real boost. The two masks we offer are the Vitalize + mask and the Double + mask. Vitalize + is the ideal mask to use when you have little time. The mask is perfect for dehydrated and impure skin and can be removed after 5 minutes. The Double + mask is suitable for all skin types, but is especially recommended for dehydrated, sensitive and / or irritated skin. Both masks give the skin a real boost. With a good day and night cream you lay the perfect basis for your daily care. We have the ideal IK Skin Perfection cream for every skin type in the assortment. In addition, we also have the SUN SPF 50+, which protects the skin every day against the harmful effects of the sun. The serums from our web shop give the skin that little bit extra when the skin needs it. For each skin type we have a suitable serum to help the skin optimally. For sensitive skin we have the Hyaluron + serum and the AHA + serum is very suitable for the impure and aged skin. The essential oils from our webshop are ideal to combine with your favorite 24-hour cream. In this way, your daily skin care is personalized and allows you to fully adapt to the needs of your skin. De-itchy, for example, soothes the skin and is very suitable to add to the Recover + cream. Re-hydrating is in turn ideal for adding to your day cream when you suffer from dry or dehydrated skin. Fruit acids intensively clean the skin and deep into the skin where the skin problems originate. For example, Salicyl + works perfectly against pimples and impurities. Glycol + is ideal to treat the skin with pigmented spots and the skin with a somewhat gritty appearance. No matter how bleak the sun is and how short you plan to stay in the sun, good sun protection is always a must. The Sun SPF 50+ helps you and protects you against the harmful effects of the sun. The very sensitive skin, the skin that is exposed to chemotherapy or radiation and the skin of people who are treated with heavy medication can not have much. These skins are extra tar and react violently to stressful substances. The medical collection is perfect for these skins and cares for the skin in a very mild but effective way. With the matcha teablend you care for your skin from the inside. Two cups of Matcha tea a day are equivalent to drinking 10 cups of green tea per day and ensure that you easily get your daily dose of antioxidants. All these products together form our collection with IK Skin Perfection products for radiant, healthy skin that is brought back to its natural state.